This online Direct to Consumer (D2C) company added Octane AI to their Shopify store to increase their sales and transform how they interact with online customers. Their success with Octane AI is so great that they "wouldn't trust any other bot platform." 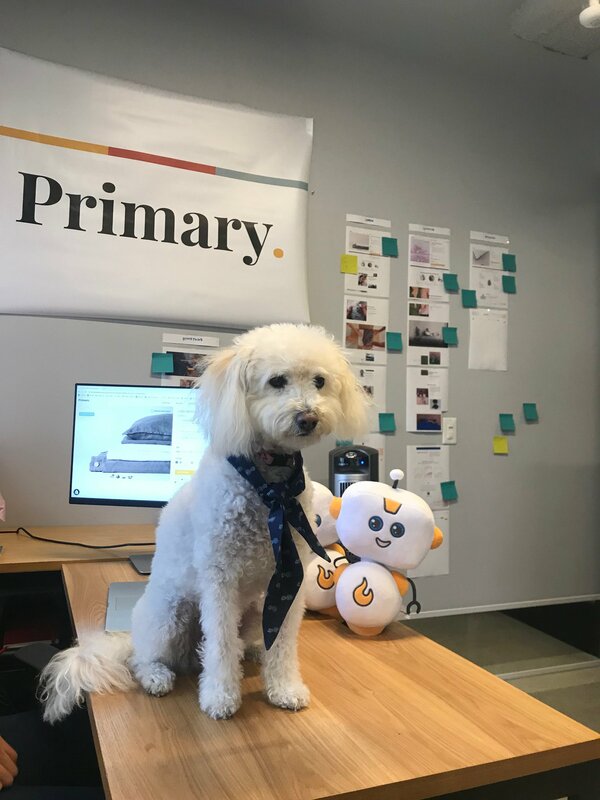 Here is Octie hanging out with Lacey, the Primary Goods' office dog. Primary Goods set out to solve a major problem: making your bed every day. After a successful Kickstarter launch, they became an ecommerce powerhouse on Shopify. With their "snap in place" technology, you'll never have to make your bed again. Primary Goods wanted to recreate the 5 star in-store experience that you would get at a luxury retailer, but with online shoppers. It's hard to connect with a brand online, but with Octane AI, Primary Goods managed to build a personal relationships with their customers through Messenger. The results? They increased abandoned cart recovery, received more customer feedback in an efficient way, collected more email addresses than ever before and ultimately increased their revenue. "We wouldn't trust any other bot platform. The support alone is unbeatable. It's made our jobs easier and we love it. I even tell people to switch from other bot platforms to Octane AI because it's so great." The world's fastest growing brands are using Facebook Messenger marketing. Join them today.